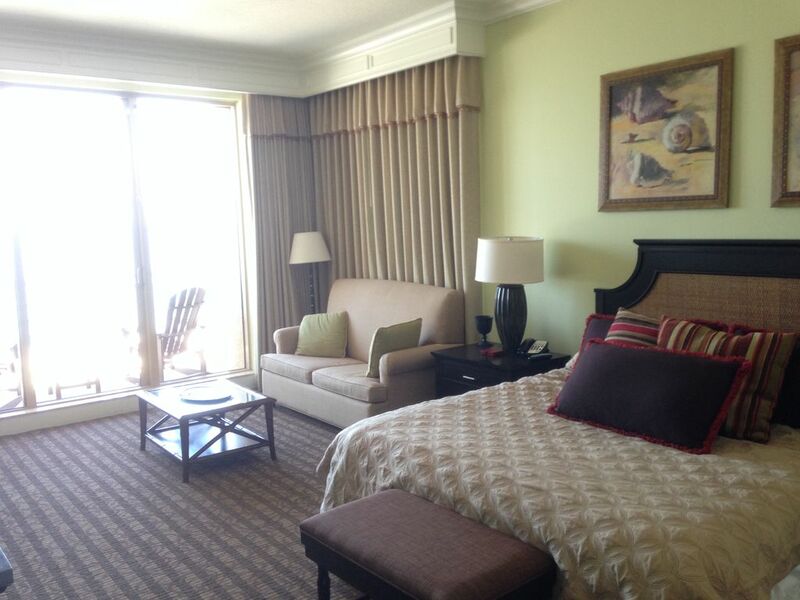 Enjoy a spectacular panoramic view of the Gulf of Mexico from all rooms of this large corner suite. With direct views of the Gulf, you'll witness some of the best sunsets in the world without leaving the comforts of home. 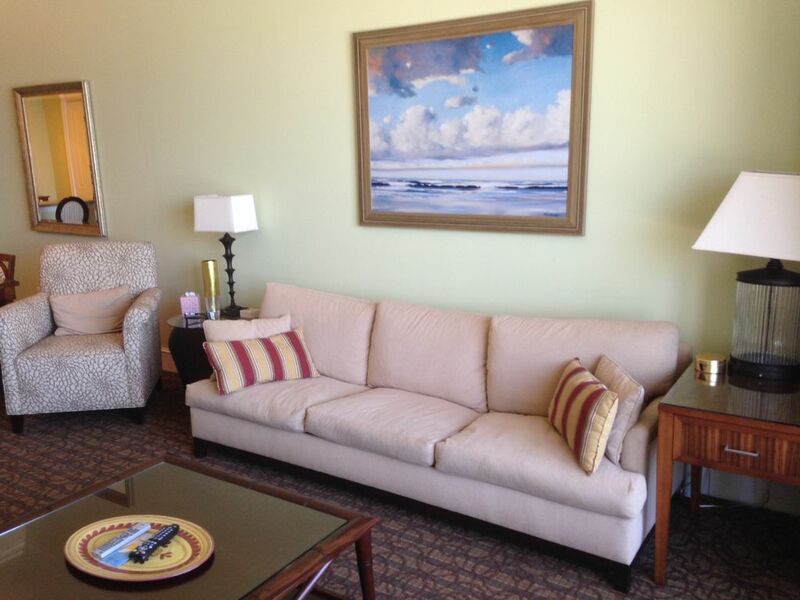 This spacious 1200 sq ft suite is ideal for families needing additional space. 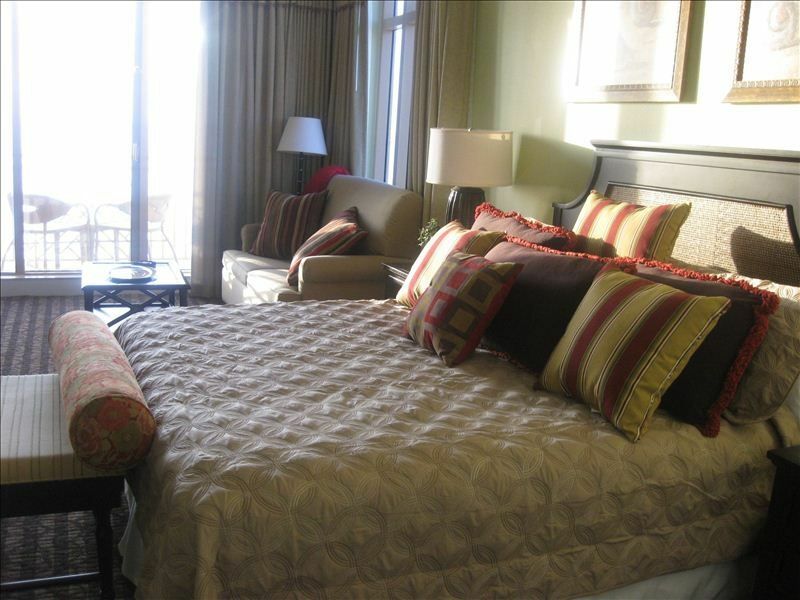 With an elegantly appointed separate living area, with a Queen size sleeper sofa and dining area for six. The luxury full size European kitchen supplies granite counters and state of the art stainless steel appliances including a dishwasher. The bedroom includes a King bed with a sitting area, which includes a sofa that pulls out to full size bed and desk/work area. 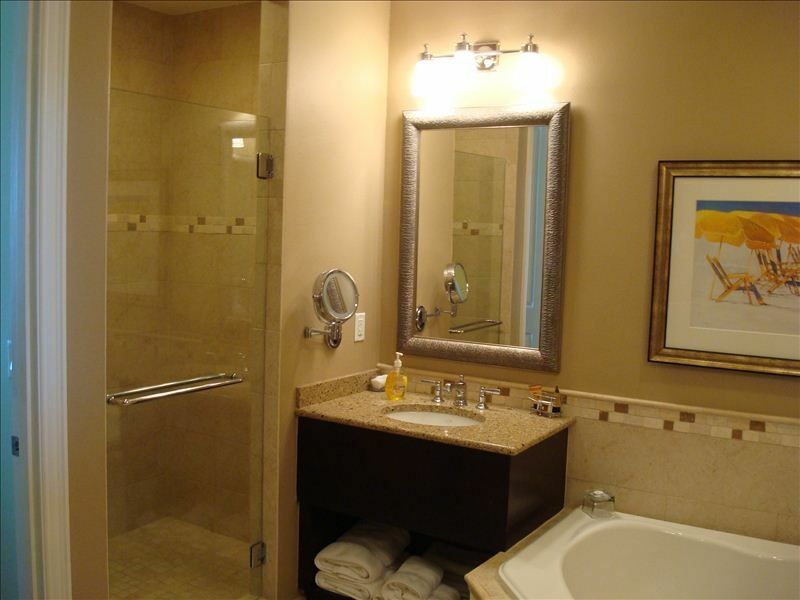 The large deluxe bathroom offers a jetted European tub, separate shower, dual vanities, and marble tile throughout. 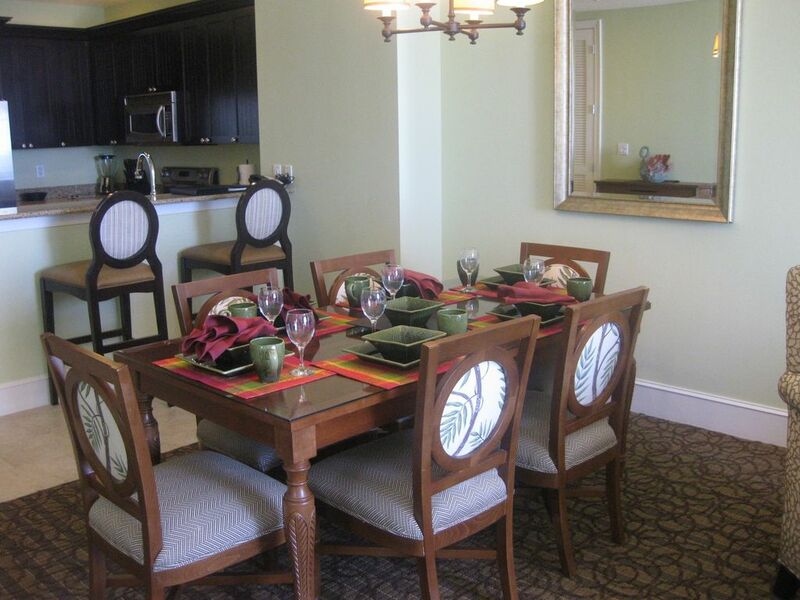 Enjoy an array of amenities including: Flat panel TV's, complimentary wired and wireless internet access, 2 furnished and private balcony, washer/dryer, and much more. Penthouse Suite right on the ocean with 180 degrees of direct ocean front views and the most amazing sunsets in the world. We are the only private owner who rents a Penthouse Condo with direct ocean front views saving hundreds of dollars for our guests. First class 5-Diamond hotel, ranked as Expedia's Top ten (10) resorts worldwide. 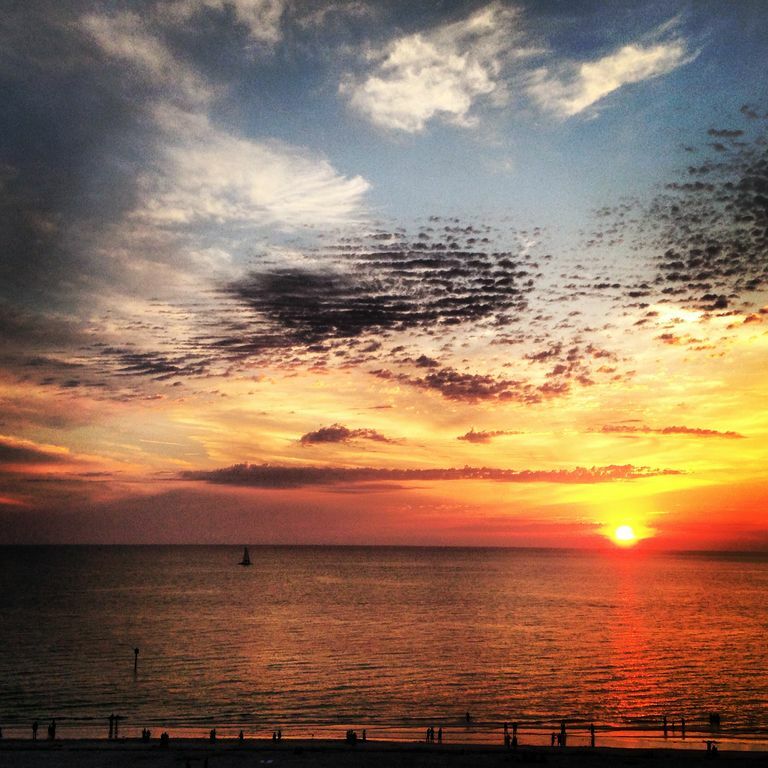 Located on one of the worlds most beautiful beaches, Clearwater Beach. Thank You! Conde Nast has released their 2013 Reader Choice Awards and the Sandpearl Resort has been selected in the Top Ten Best Resorts in Florida. It is an honor for us to be recognized by our guests and we thank you for your vote of confidence. 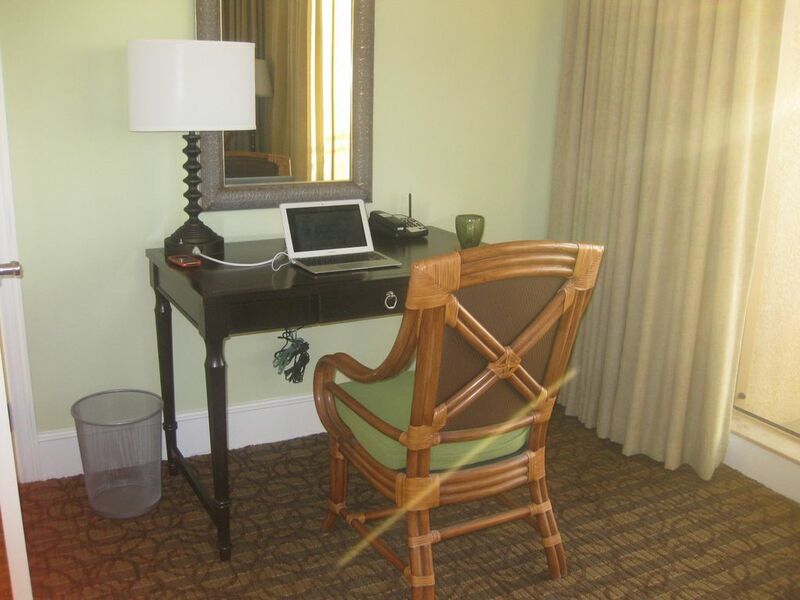 We will continue provide lasting memories and warm and welcoming hospitality to all of our guests. 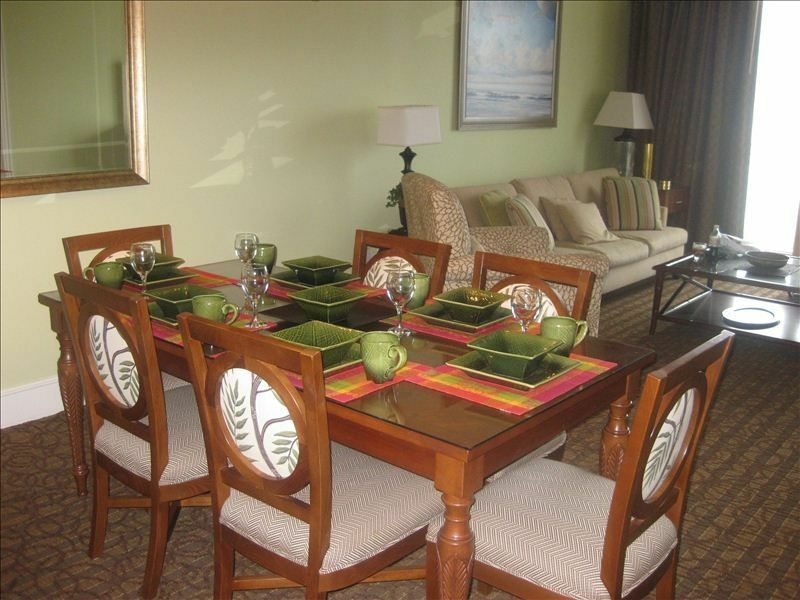 This condo/hotel has a full unobstructed view of the Gulf of Mexico, along with bay views and the most wonderful sunsets in the world. 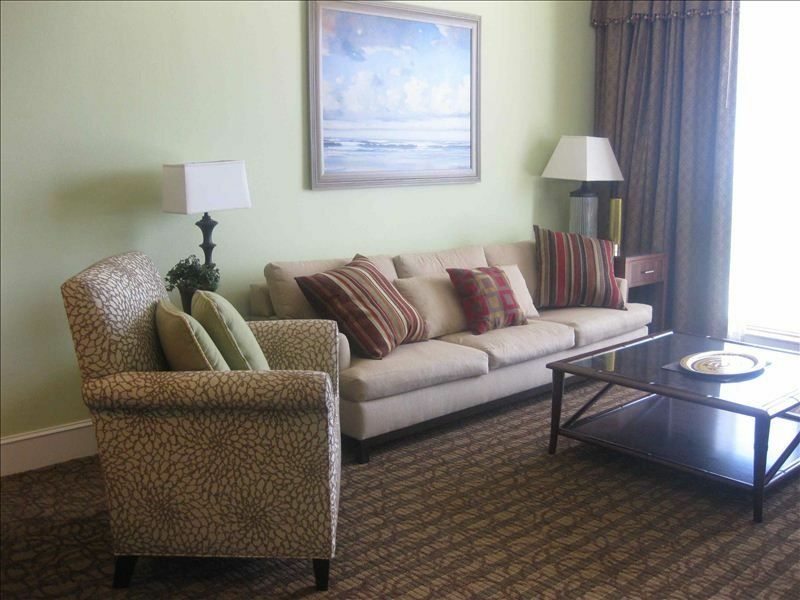 Private corner suite beautifully merchandized with the discerning vacationer. Two first class restaurants on premises, fitness center & luxurious spa center. Check out the photos to see the quality and drama of this unique opportunity. Convention center, business center and ballroom in hotel. Daily Valet parking and service included with your stay and the most incredible staff of any upscaled resort we have ever visitied. 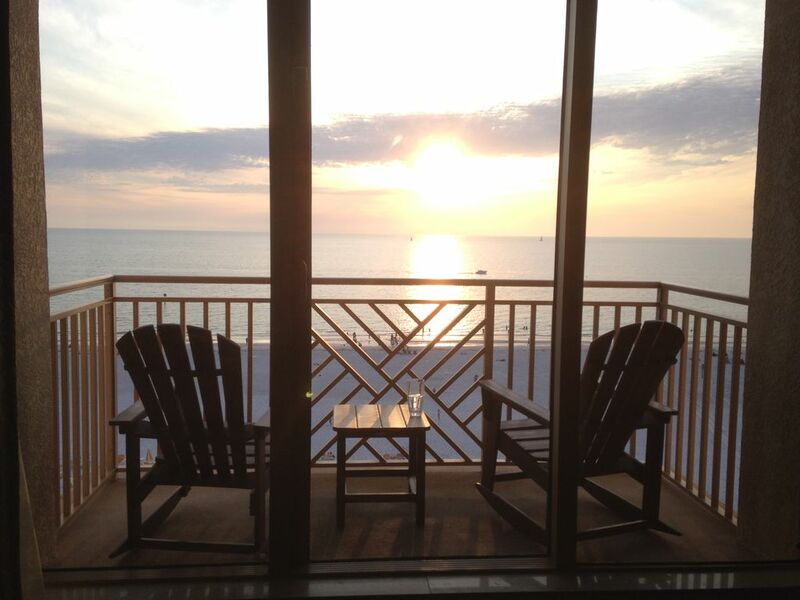 Right on Clearwater Beach and just a short drive to Tampa and St. Petersburg, Sandpearl's ideal location offers a myriad of things to do, both on and offsite. 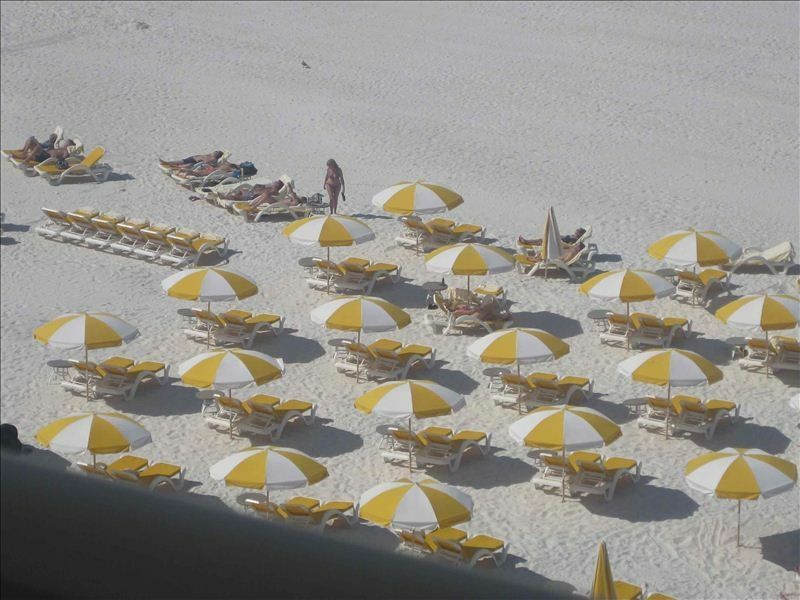 Wave runners, parasailing and volleyball are right on the beach. There is plenty of fun to be had within the resort, but should you desire to venture away, the area has so much to offer. The Clearwater Marina is just two blocks away, where you can take a sunset sail, dinner cruise, dolphin excursion or go deep sea fishing. Baseball fanatics can catch spring training games for the Philadelphia Phillies, Toronto Blue Jays or the New York Yankees. Visit the Clearwater Marine Aquarium, go kayaking to Caledesi Island or play a round of golf—the opportunities are endless. In Tampa, visit the Lowry Park Zoo or Busch Gardens, or venture to St. Petersburg to explore the Salvador Dali or Chihuly Art Museums. Cancellation Policy: 100% refund if canceled 45 days or more prior to arrival date. No refunds if cancelled within the 45 day period unless dates are rebooked. Beginning and Departure Cleaning $125.00 Prices include daily valet parking, resort fees, free wireless Internet, Business Center, fitness center,towel service by pool. We do not collect a security deposit, but must keep currant credit card information on file. Cancellation clause: Monies paid in full less any credit card charges if canceled 45 days or more prior to arrival date. No refunds within last 45 days of arrival. 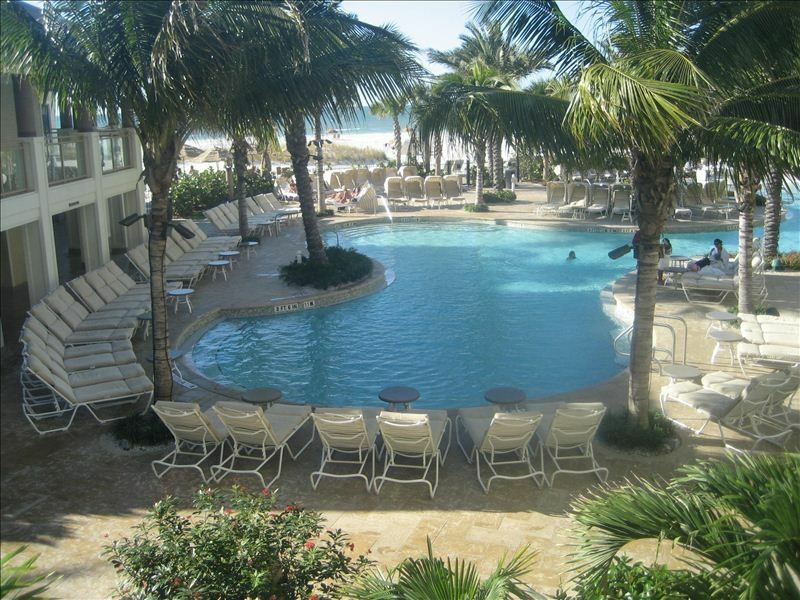 This was my family\'s second time staying in this property at the Sandpearl. We had a wonderful time despite some intermittent rainy weather. Impeccably clean. Well appointed and comfortable. 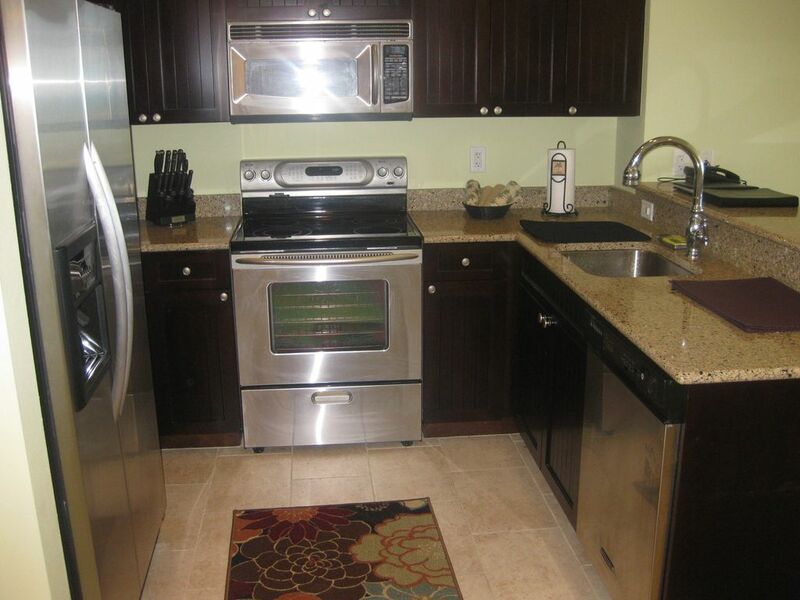 Perfectly located to be able to walk to shops and restaurants. Loved having all the amenities of a hotel. Would definitely recommend a stay here. Had a truly awesome experience and would definitely stay again. Everything was perfect. The room was top notch with an amazing view of the beautiful white sand and gorgeous ocean . The restaurant had awesome food. The staff was very hospitable . The pool was breathtaking. Everything was just so beautiful from the room to the service. This truly is a awesome place. We had a wonderful time here at the Sandpearl. Sandy was very easy to work with and everything went smoothly. The resort is fantastic, as is the service. Very nice space with all the amenities. The location is also perfect. You can walk to everything. Lots of restaurant choices. Thank you for a perfect vacation ! Beautiful condo with great ocean views. 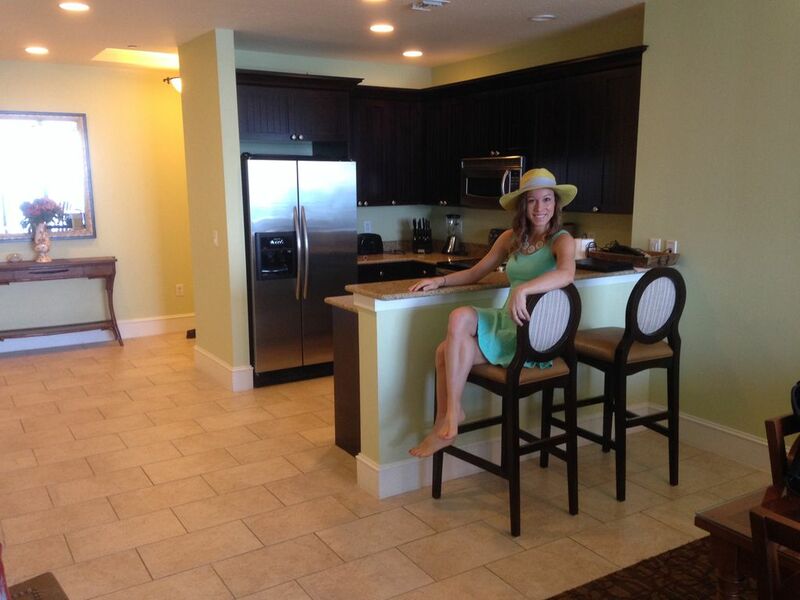 We loved our stay at Bonnie�s condo at The Sandpearl Resort. The amenities, condo, views and host were five starts. The place worked out great. 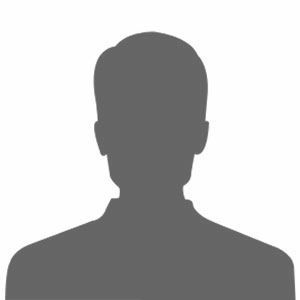 The pictures online are what you will get. View was perfect with 2 balconies. Location couldn\'t have been better. Place was clean and quiet.